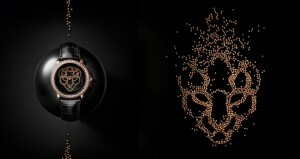 Corum is a unique Swiss watchmaking company known for many stunning designer watches that stand out from the crowd. Let’s just remember the famous Bubble series that has long been the number one choice when it comes to choosing frightening yet chic Halloween luxury watches and the refined Golden Bridge collection, which is a flag-bearer of the company’s technical prowess. 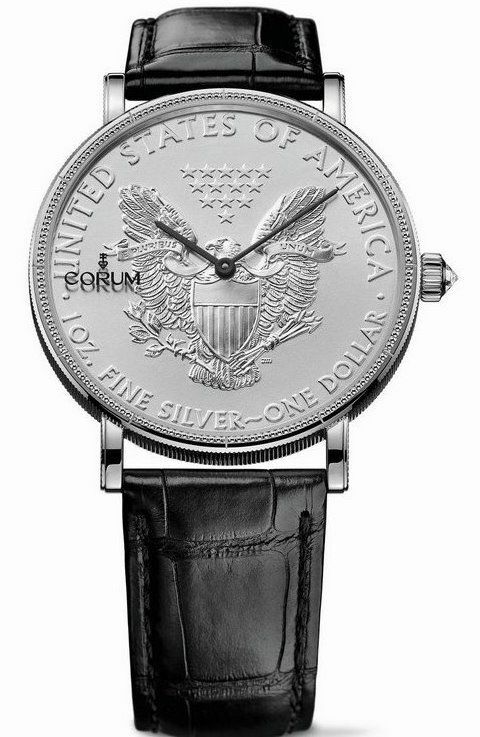 Corum also has the outstanding Heritage Coin line that includes incredible designer watches distinguished by their historic American coin dials. Thus, while you can certainly choose any other luxury watch to celebrate Thanksgiving Day, these timepieces are still the best. Look for yourself! 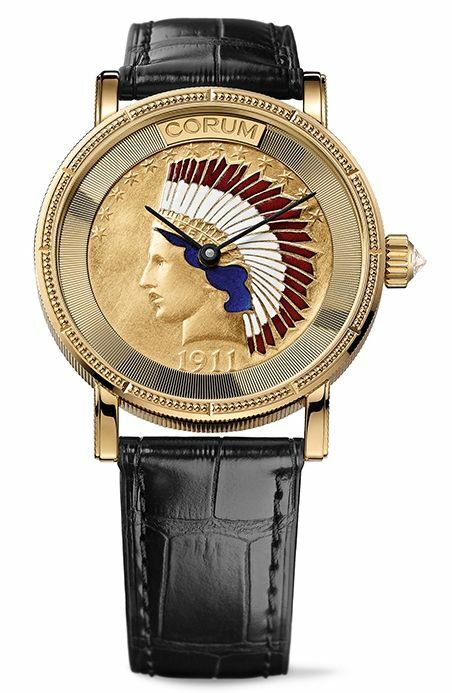 The Indian Head is one of the most renowned models in the Corum Heritage Coin collection due to its eye-catching design. Made of 18k yellow gold, this luxury watch features a beautiful enamel 22k gold coin dial with a portrait of the valiant Indian, thus paying tribute to the historical roots of the nation. Besides, it is equipped with a precise automatic mechanical movement. The American Silver Eagle Ref. C082/02495 was created to celebrate the 50th anniversary of the first Heritage Coin watch made with a 20$ Double Eagle coin dial in 1964. Powered by a self-winding mechanical movement, it features a 925 silver American Liberty coin dial and comes with a black alligator leather strap. Besides, this silver luxury watch model was released in a limited edition of only 100 copies. 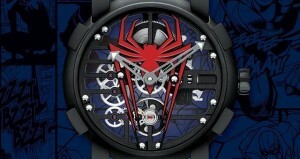 The Corum Ref. C082/03167 is one of the latest additions to the Heritage Coin collection of designer watches. 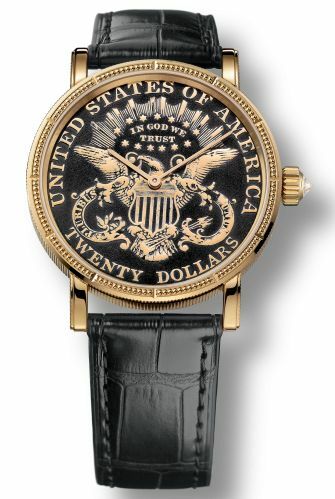 Enclosed in an 18k yellow gold case, it is distinguished by its American Double Eagle 22k yellow gold coin dial depicting a heraldic eagle with shield. Its case back formed from the reverse side of the coin features the head of the Statue of Liberty. 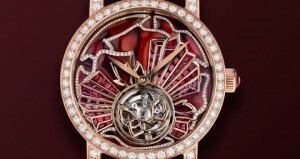 This luxury watch is also driven by a self-winding movement. This stylish Corum Heritage Coin watch is similar to the 50th Anniversary Edition American Silver Eagle model, but it comes with several significant changes. First of all, it features blued hands, a blue Corum logo on the 925 silver coin dial, and a blue alligator leather strap. Secondly, unlike most designer watches from this collection, made with a diamond-set crown, this one has a blue sapphire crown to underline its overall look. 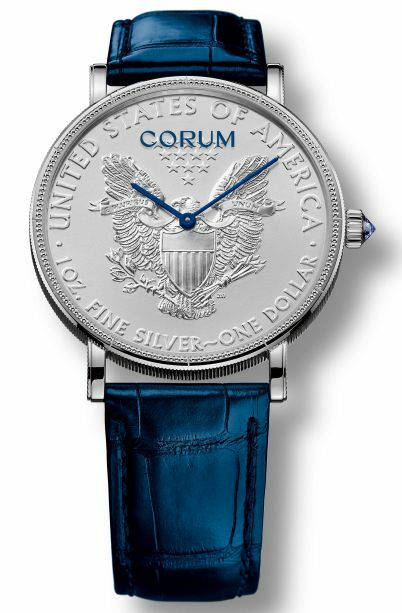 One more perfect luxury watch from the latest Corum Heritage Coin collection is the Ref. C293/02910 model with a charcoal-gray PVD treated 22k yellow gold coin dial. 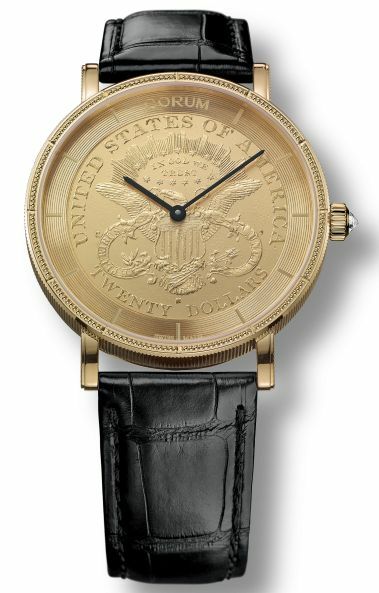 Enclosed in an 18k yellow gold case with the Double Eagle coin back, it is powered by a powerful automatic movement providing 72 hours of power reserve and comes with a classic black alligator leather strap. 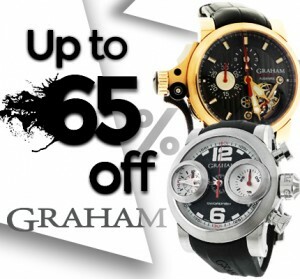 You can certainly look for more Corum Heritage Coin high-end luxury watches online. Whatever you like the most, each of them is undoubtedly the best choice to celebrate Thanksgiving Day in style! Happy holidays!